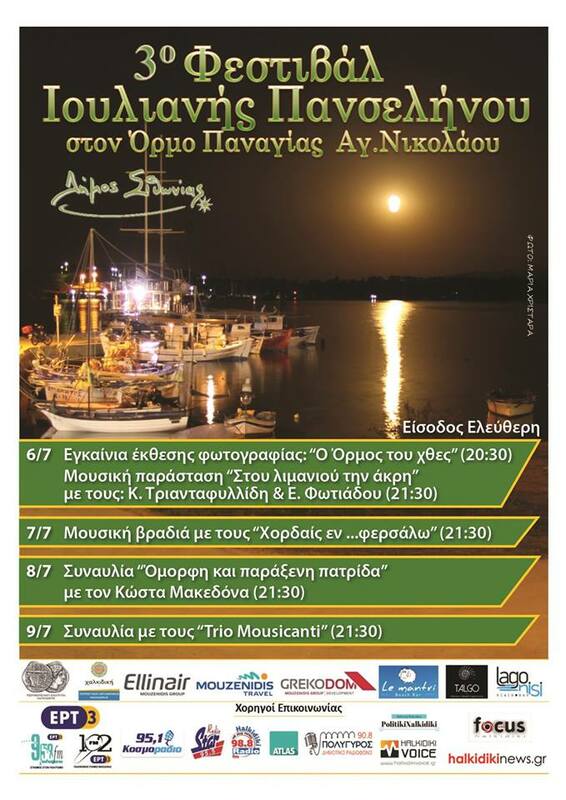 For the third year, the Municipality of Sithonia is organising this fullmoon festival full of music and joy. It’s an open air festival that takes place in one of the most beautiful seaside village in Sithonia, Ormos Panagias. On July’s night of full moon and for 4 days, you will have the opportunity to enjoy some of the finest Greek musicians, theatrical performances and exhibitions under the stars! 06/07 | 20:30 Opening of a photography exhibition with photos from the past that shows Ormos Panagias village how it used to be and the changes that occured during time (1930 until 2000). 08/07 | 21:30 Live consert by Kostas Makedonas singing famous Greek poems set to music.